After you’ve worked so hard to book that job and delivered a flawless performance on set, you’re gonna want that footage! If not for your demo reel, at least for the memories! Getting your footage isn’t always easy. No matter your situation, I hope I can help here. The best way to set yourself up for footage success is to plan ahead. While on set: if you have another day player working with you, ask if they’d like to split an aircheck with you and exchange information. No sense in TWO people paying to track down footage. Set a reminder in your phone for when you estimate the show will air. You can do this by referencing the episode number compared to which episode is currently airing. Before your episode airs, order an HD aircheck. I love using Joe’s Reels because he’s quick, reliable, and reasonably priced! If your episode has already aired, but it’s not yet for sale on itunes or something similar, you can still get an aircheck! If you’re reasonably tech savvy, you can purchase a video capture cable like this one to pull the footage from your DVR to your computer. If the remaining video has an echo, you can run it through the iSkysoft Video Converter. I found this great site to download commercials from Youtube AND ispot.tv. It worked great for me. However, you always download from sites like this at your own risk. 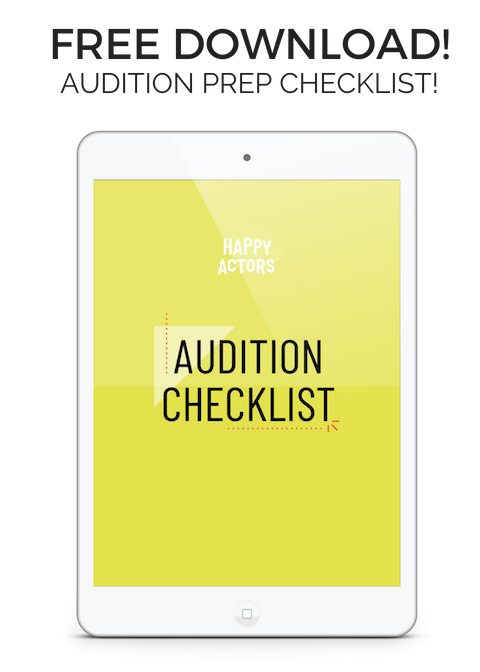 Become a Happy Actor Insider for more tips, resources, and inspiration straight to your inbox. IF YOU’VE BEEN WAITING FOR FOOTAGE FROM A FILM FOREVER! This happens a lot with low budget films. No one is trying to mess with you but sometimes editing is delayed because of budget problems. The content creator may not realize that just that tiny scene would be helpful, so let them know. And assure them you will not share it for public viewing. Oof, this one hurts. You’re likely out of luck but SOMETIMES, if you can track down someone in production, they might get you a copy of your scenes. I’ve never had luck with this but some people have. I hope this post helps you track down that footage of your stellar performance. Got any tricks we should add? Let us know in the comments! « Leaving Your Auditions To Chance? Swipe My Free Checklist!